Bi-lingual singer/songwriter Mi Amigo Hamlet is preparing to release his debut album, "Happy Land Is Tierra Feliz" on September 21st. Hamlet writes and performs the music in English and in Spanish, as he steps away from his day job (teacher) to delivery his music to a wider audience. The new 16-song release touches upon many different musical styles like merengue, salsa, rumba flamenco and bossa nova, which will get your body moving. 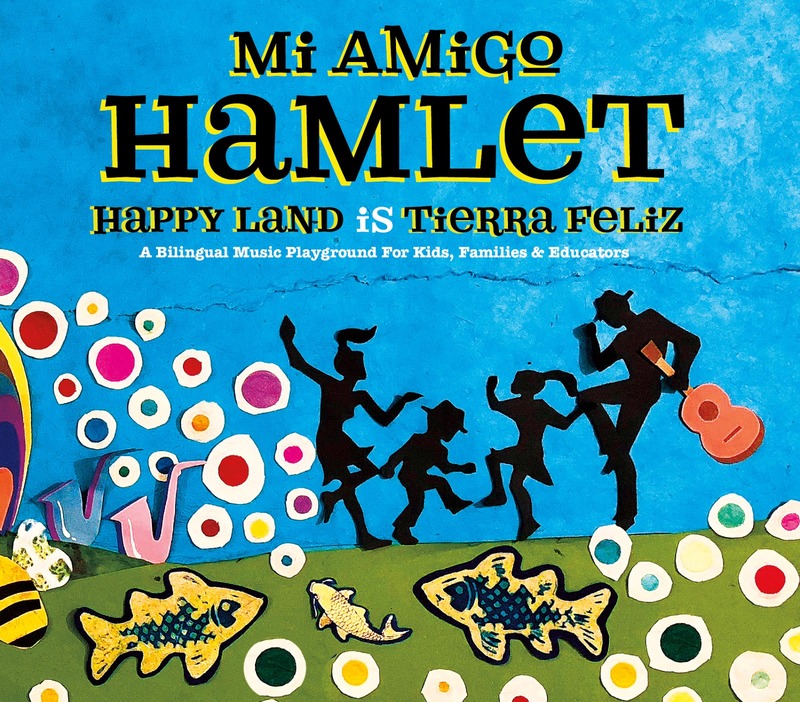 He begins with the up-tempo introduction of "Happy Land" and the swinging song "Dias De La Semana" as Hamlet tries to teach us some Spanish. The album continues with the fun, simply lyrics of "Azul" and the laid-back acoustic strumming of "Pajarito." He will get your hips swaying on the salsa-flair of "Laila," before the slow build-up of "Hola" that explodes with fun. Mi Amigo Hamlet finishes up his new album with the emotional folk delivery of "How Much I Love You," teaching us the "Months Of The Year" in Spanish and the sweet, island sway of "Little Fish." 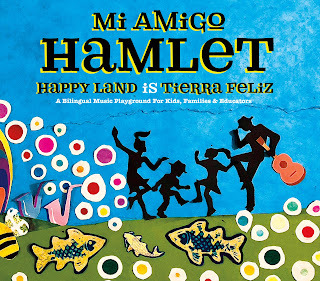 To find out more about Mi Amigo Hamlet and his latest release "Happy Land Is Tierra Feliz," please visit miamigohamlet.com. 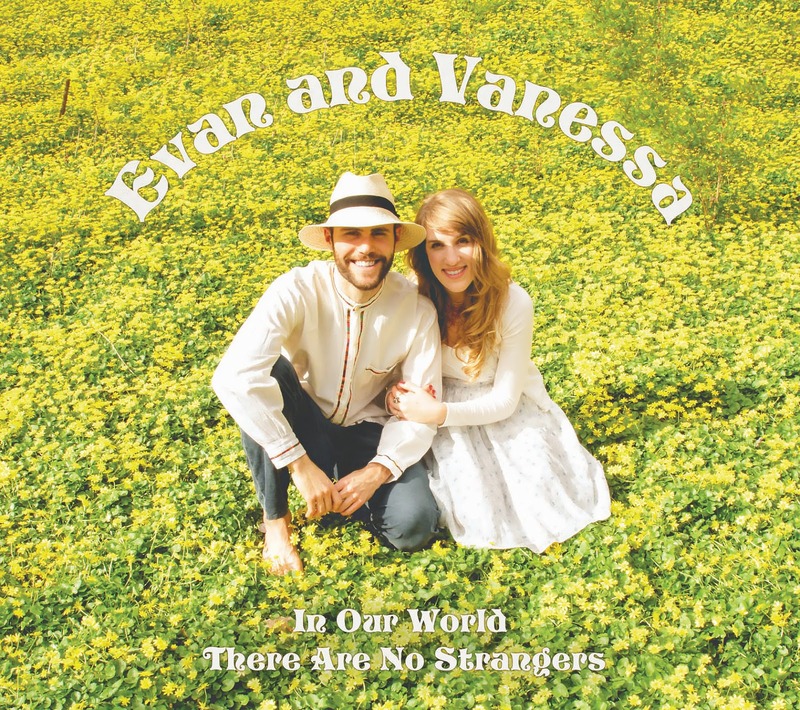 The following week, on September 28th, husband and wife duo, Evan And Vanessa will release their new bilingual children's album "In Our World There Are No Strangers." The new 24-track release, begins with a short introduction "Welcome To Our Album," before the beautiful vocals of Vanessa begin the day's lesson with "Sun Sun Sun." The album continues with the sweet, folk strumming of "Any Dream Will Do," before Evan And Vanessa dip into the Spanish language of "Los Pollitos." The duo also deliver an emotional cover of "Somewhere Out There" and the ancient Aztec lullably "Tu Tu Techcote," which is sung with such loving grace that you will certainly drift off into dreamland. The album is also repeated in Spanish, beginning with "Sol Sol Sol" and "Cual Sueno Ayudara" as the music is still beautiful as you can learn the songs in both languages. Evan And Vanessa finish up their new album with the short spoken word conversation of "Se De Un Lugar Especial" and the night-time closer of "Adios Amigos." 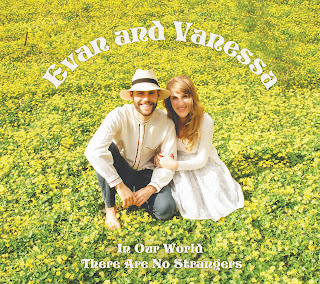 To find out more about Evan And Vanessa and their latest release "In Our World There Are No Strangers," please visit evanandvanessa.com. Next up, is the latest musical release from award-winner Jamie Lawrence (All My Children). He is preparing to release his new album "New York Suite" on October 5, with his band, The Jamie Lawrence Sextet. The album has been almost 30-years in the making, as Lawrence used three different Sextet configurations to complete the recording. The new 5-track release begins with the swinging, twenty-plus minute title-song "New York Suite" as Jamie's compositions are exciting works of art. The tempo slows down for the more melodic tones of "Margot With A 'T'," before the energy level picks back up with the swift pace of "What's Watt." The Jamie Lawrence Sextet wrap up their new album with the six-minute classic jazz appeal of "Tongue Twister." To find out more about the Jamie Lawrence Sextet and their latest release "New York Suite," please visit jamielawrenceproductions.squarespace.com. Finally, also arriving in October is the latest release from the award-winning children's artist Sukey Molloy. On "Five Little Oysters," her fifth album, Sukey Molloy mixes together some of her original tunes with traditional favorites like "The Ants Go Marching" and "This Old Man." She begins with the gentle rhythm of "It's Raining, It's Pouring" with the additional verses that add to the song's light-hearted vibe. The repeated verses of "The Sun Shines On My Body" will make this song a new favorite as it is very easy to learn as you enjoy the island vibe of the music. Sukey Molloy reworks the classic "Five Little Monkeys" into "Five Little Oysters" with a fun, sing-along story that also teaches the fundamentals of math. She keeps the energy flowing with "She'll Be Coming 'Round The Mountain" and "I've Been Working On The Railroad," before closing up her new album with the reading of "The Story Of Little Flame In The Artic." 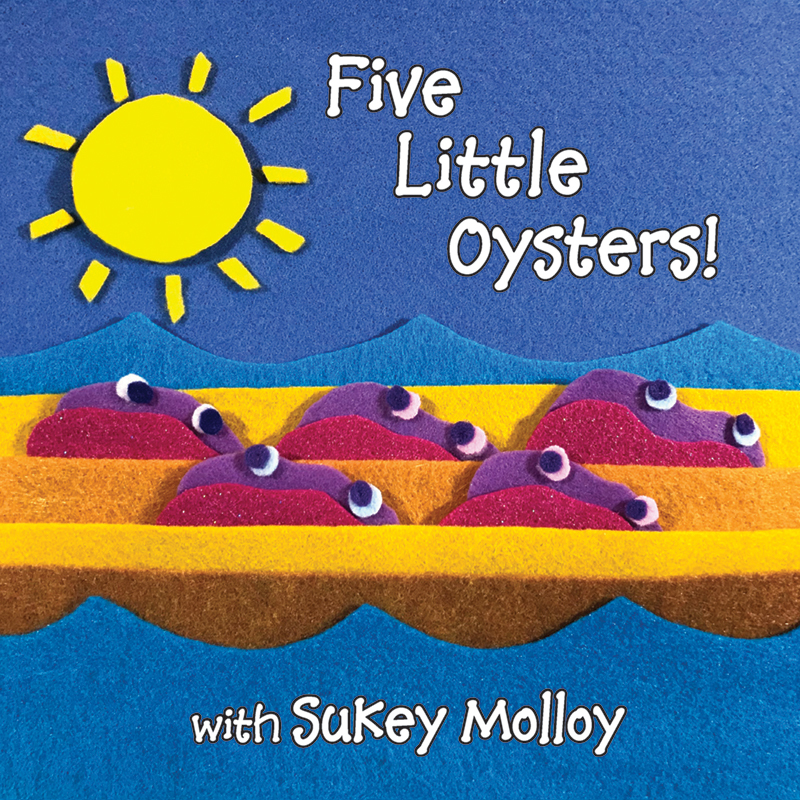 To find out more about Sukey Molloy and her latest release "Five Little Oysters," please visit sukeymolloy.com.